1. 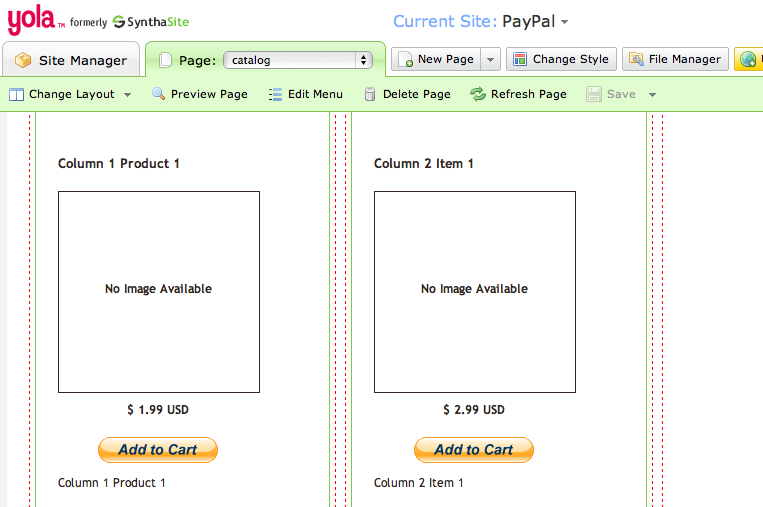 Choose a layout from the Change Layout options depending upon how many columns you would like to have. 2. Click on the Online Store folder and drag a Catalogue of Products widget into the first column and add the products you would like to have in the this column. 3. Do the exact same thing for the other columns (see below screen shot). When you "Add to Cart" an item, and then choose to Continue Shopping and add more items to the cart, they all go into the same cart. Can you give this a try and let us know if you have any trouble.